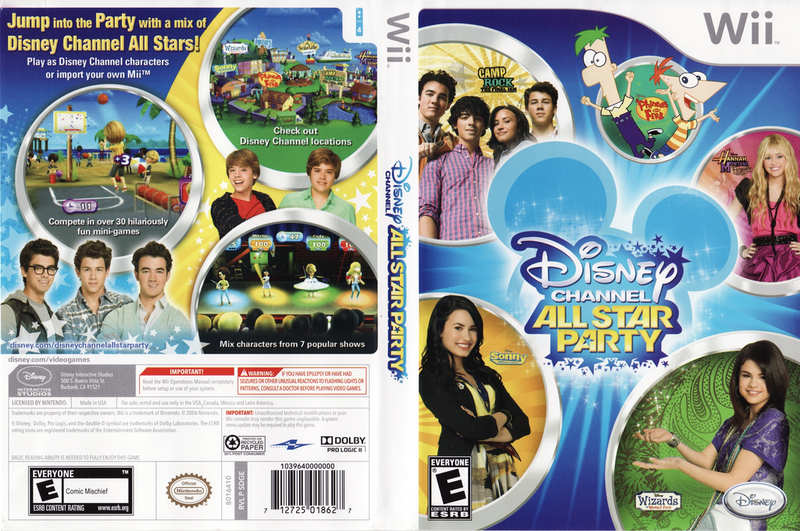 synopsis (EN) Get the party started with Disney Channel All Star Party on Wii! For the first time, mix up Disney Channel shows and characters! Play as favorites from shows including Sonny with a Chance, Wizards of Waverly Place, and Hannah Montana. 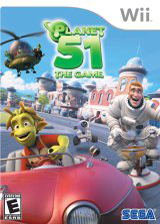 Challenge your friends in over 30 hilarious games from popular show locations like Phineas and Ferb, Jonas L.A. and more! * Play as Disney Channel favorites from Sonny with a Chance, Hannah, Wizards of Waverly Place and more! * Jump into the party and import your Mii! * Compete to be the ultimate All Star in over 30 hilariously fun mini-games! * Check out Disney Channel locations from Phineas & Ferb, Wizards of Waverly Place, The Suite Life of Zack and Cody and more! *Mix characters from 7 popular shows! synopsis (ES) ¡Prepárate para la fiesta con tus personajes y shows favoritos de Disney Channel! Desafía a tus amigos a participar de más de 30 insólitos minijuegos basados en los populares programas de Disney, como Phineas y Ferb, Los Jonas Brothers, Hannah Montana, ¡y muchos más!